Solid Back. 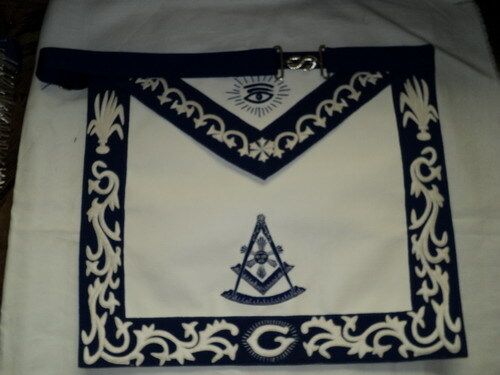 Slightly heavier than similar rings on this site. The detail on this ring is excellent. 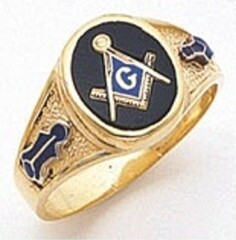 This ring is approximately 9mm in width.12 of the emblems of Masonry. 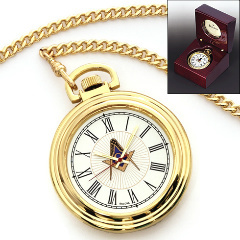 It is available in 14KT white gold. 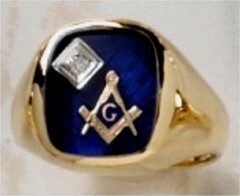 You have the option of ordering this ring with or without th enamel. Please specify when ordering. 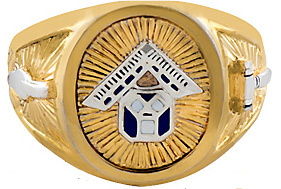 ENAMELED EMBLEMS, The emblems on this ring are as follows: square & compass, plumb, trowel, apron, hourglass, 24" gauge, 47th problem, altar, acacia, level, common gavel, 3 lights & pillars.